This New Years’ Eve, bid adieu to 2018 and rumble in 2019 with a BANG at One Farrer Hotel! 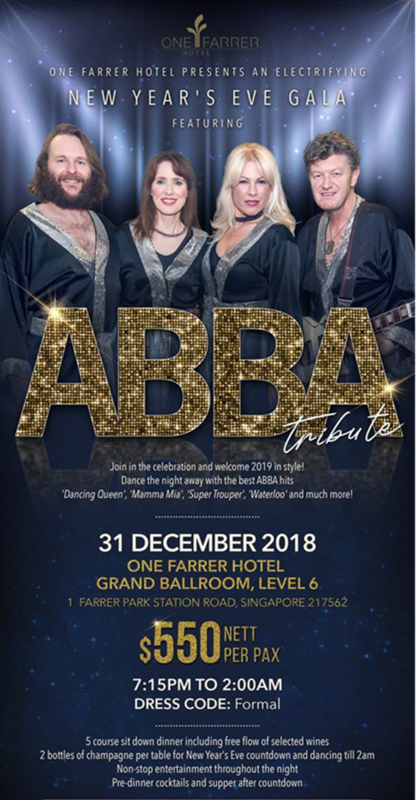 On New Year’s Eve, One Farrer Hotel presents an electrifying New Year’s Eve countdown gala featuring ABBA Tribute. This year, we present the world-popular ABBA Tribute show that will be taking center stage in the Grand Ballroom. 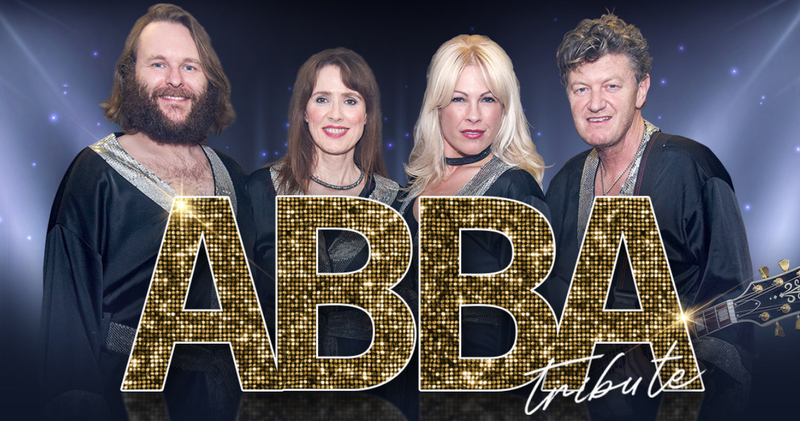 All the way from the United Kingdom, deemed as one of the best and most successful ABBA Tribute band in the world, the band is put together by musician Rod Stephen, and will be performing classic ABBA hits including ‘Dancing Queen’, ‘Mamma Mia’, ‘Super Trouper’, ‘Waterloo’ and many more! Ring in the new year with an unforgettable experience at One Farrer Hotel as the night will also include pre-dinner cocktails, a 5-course gourmet dinner, free flow of selected wines till 2am, 2 bottles of champagne per table for New Year’s Eve countdown, supper and non-stop live entertainment and dancing throughout the night. All-inclusive at the price of only $550nett per person. This event is organized by One Farrer Hotel & Spa. All attendees are to abide by the terms & conditions and regulations of One Farrer Hotel & Spa. This is a strictly “No Cancellation & No Refund” event.